First there was choosing colours, then ringtones, and now it is possible to individualise your mobile by smell. A new range of mobile phones that allows individuals to spray their favourite perfume onto a special chip embedded in the mobile has been unveiled by Japanese computer hardware and IT services company Fujitsu yesterday. 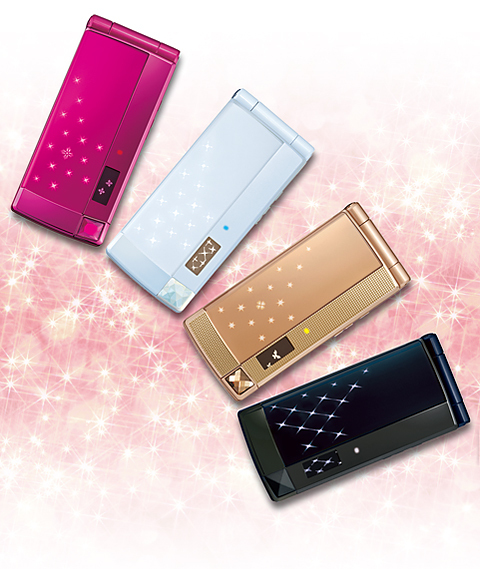 The fragrance mobile comes with a ceramic fragrance chip, which is embedded in the back of the mobile. Users simply take the chip out, spray their perfume onto the chip, and can then enjoy using their mobile phones in a new way. 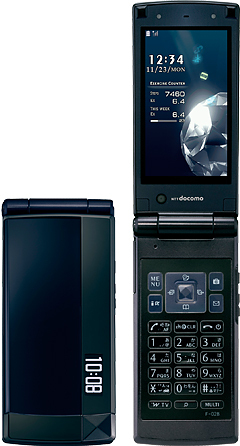 The docomoSTYLEseries F-02B mobiles were unveiled as part of mobile company NTT DoCoMo’s 2009 winter/spring collection. smile finder – a camera function which automatically takes a photo as soon as a smile on the face is detected. waterproof to a depth of 1.5m, where the camera is still functional. Is the fragrance waterproof at 1.5m? Fujitsu’s 23-page information sheet doesn’t say anything about it. However, there is a warning note saying that the amount of time the fragrance stays around depends on the amount sprayed on. Fujitsu are still uploading information about the mobile phone, so I will keep my eyes open.